PESHAWAR: At least seven suspected militants were killed and two others injured in a US drone strike conducted on Friday in South Waziristan’s Ladha subdivision. “A vehicle close to a militant compound was the target of the strike in the Shonkrai Narai village of South Waziristan,” an official said. The official confirmed the death toll; however, did not delve into details regarding identities of the deceased. Further, sources said the area has heavy presence of Sajna group of the Taliban faction. The drone strike comes after a long halt, as North Waziristan has been the main target of drone strikes in recent months. 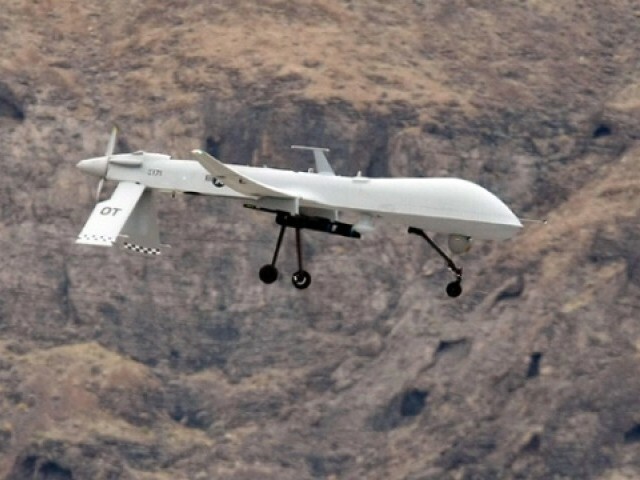 At least five suspected militants were killed when a US drone fired two missiles at a compound in North Waziristan, officials said on September 1. Earlier this week, security forces imposed a curfew in South Waziristan after a convoy came under attack which left one dead and injuring five security personnel. Meanwhile, the army continues its Operation in the nearby Shawal Valley where a ground offensive was launched last month.